Jeffrey L. Greenberg is a founding shareholder and the managing shareholder at Greenberg & Strelitz, P.A. Mr. Greenberg has been a member of the New York Bar since 1980, and the Florida Bar since 1994. Mr. Greenberg is AV Preeminent ® Peer Review Rated by Martindale-Hubbell® which indicates that he is recognized by other attorneys as having the highest quality and ethical standards. Mr. Greenberg’s litigation experience includes personal injury matters, contract disputes litigation, premises liability litigation, and commercial litigation including corporate litigation, contract disputes, judgment enforcement and garnishments, landlord-tenant disputes and evictions, construction lien litigation, construction litigation, replevins, foreclosure, and collection. Mr. Greenberg is a principal of All City Title Company which is an approved agent for various licensed title insurance companies. 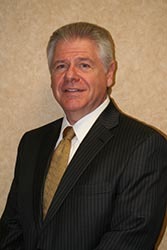 Mr. Greenberg has also been general counsel to a group of construction and development companies.